4. 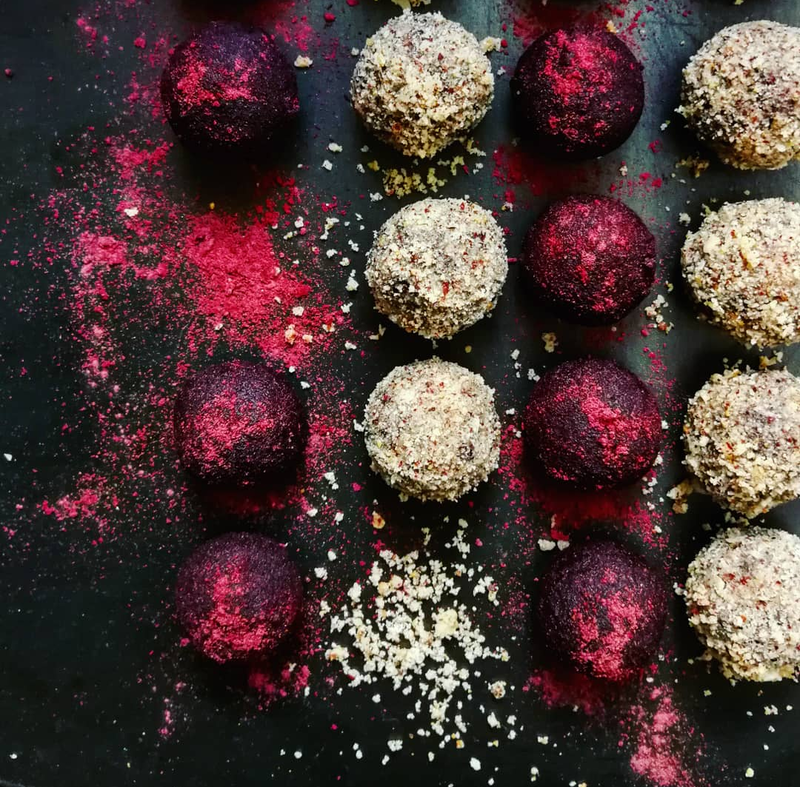 Roll in beetroot or cacao powder and store in an airtight container in the fridge for up to a week. -Substitute the Almond and sunflower seed flour for toasted Hazelnut flour. -Do not add acai powder and increase the Cacao to 5-6 tbsp. -Substitute the almond flour for peanuts blitzed into flour and the tahini for peanut butter. -Do not add the acai powder and add 1tsp of vanilla powder or 2 vanilla pods seeds.